The DJB D44 in 1:50th scale was released by Les Miniatures du Faubourg in 2013. 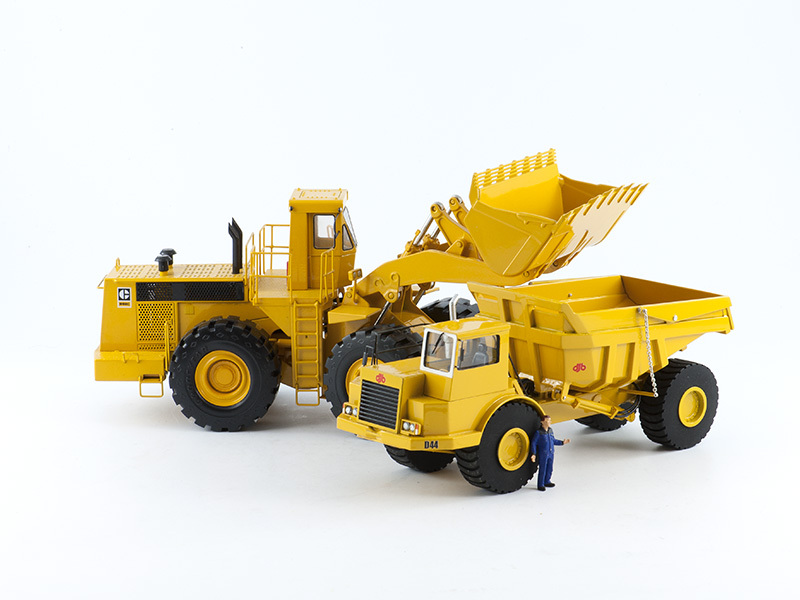 The DJB D44 Articulated Dump Truck is handmade from resin using different photo etched parts likes the mirrors and grabs and railing, professional airbrush paint and are as detailed as possible in accordance with the scale used. 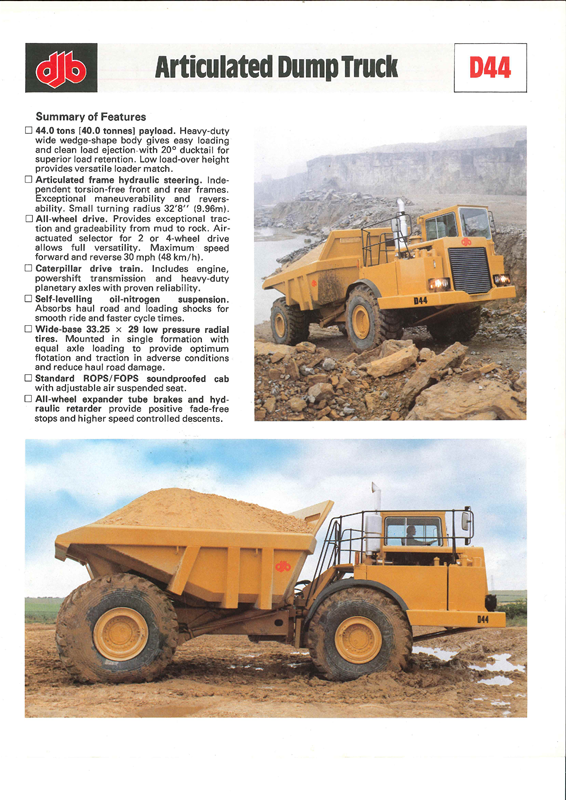 This next knock out DJB D44 Articulated Dump Truck scale model will be available in very limited numbers for the serious collectors only. More information or ordering this unique scale model check out Les Miniatures du Faubourg, a small French company which produces limited series models of rare and special construction machinery and trucks in 1:50th scale.